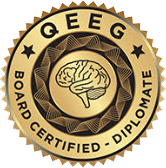 Quantitative EEG (QEEG Brain Mapping) is a brainwave evaluation that provides a neurological “road map” for understanding each client’s brain function. 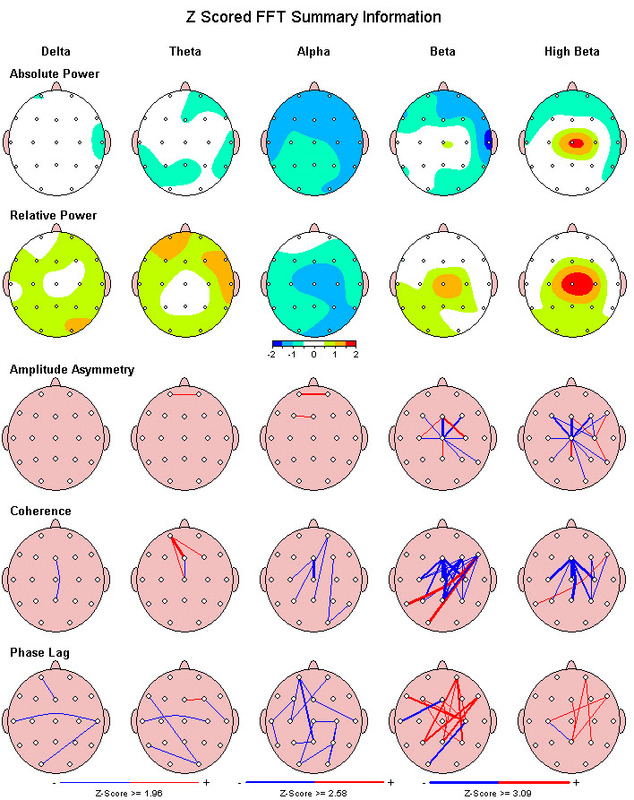 Raw EEG data is analyzed personally by Dr. Lemare-Calaba and also by a computer program that presents colorful maps and graphics of brain dynamics. How is QEEG Brain Mapping Information Used? By analyzing a client’s brain map, Dr. Lemare Calaba is able to identify specific frequencies of the brain that are malfunctioning as well as their location and communication network patterns. This provides invaluable information needed to construct Neurotherapy training protocols, as well as for conceptualizing the clinical picture. After the data are analyzed, Dr. Lemare-Calaba provides a feedback session to clients (and their family members or therapists if desired) in which evaluation results are explored, and brainstorming occurs about the meaning and application of the findings. 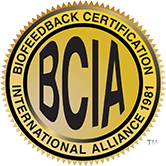 Many clients report that their QEEG feedback session has been “life changing” because it enables them to see a clearer picture of themselves that alleviates feelings of fault and creates hopeful strategies for change. When a QEEG brain map is done on all members of a family, an overview of the entire family nervous system becomes possible. This renders valuable information that is helpful for transcending individual dynamics and generating collective family change. The frequency information obtained from the client’s QEEG Brain Map is also used as a basis for selecting musical tones for Musical Overtone Feedback, a therapy method founded by Dr. Lemare-Calaba to enhance he brain’s ability to learn. The QEEG procedure involves placing an EEG cap on the client’s head and collecting brainwave data on 19 brain sites simultaneously in eyes closed, eyes open and various task performance states. Preparing for your QEEG Brain Map.